Navy Day (every first Sunday of July From 1997 till 2011 August 1, from 2012 till 2015 last Sunday in July). The Ukrainian Naval Forces (Ukrainian: Військово-Морські Сили України, ВМСУ, Viys’kovo-Mors’ki Syly Ukrayiny, VMSU) is the navy of Ukraine and part of the Armed Forces of Ukraine. It was established in 1992. It consists of five branches: surface forces, submarine forces, Navy aviation, coastal rocket-artillery and naval infantry. The Navy numbers 6,500 people. In 2007 and prior the 2014 Russian annexation of Crimea 15,470 people served the Ukrainian Navy. The headquarters of the Ukrainian Naval Forces was, until the 2014 Crimean crisis, situated at Sevastopol in Crimea. The Naval Forces of Ukraine were highly affected by the Crimea Crisis as majority of their units were stationed there. Ships that did not escape or were not deployed at the time lowered their flags and were interned. Russia began a process of returning the vessels but stopped, citing continued violence against Russians in the Donbass. The ships that were returned were the older models of the fleet that were deemed obsolete. For example, Russia chose not to return the corvettes Ternopil and Lutsk, both of which are some of the newest ships of the Ukrainian fleet. However, none of the Ukrainian naval units retained were absorbed into the Russian Navy. Ukraine had been scheduling to rebuilt its forces even before the 2014 Russian military intervention in Ukraine by building the domestic project 58250, the first Ukrainian designed and built corvette, as well as ordering numerous patrol boats in 2013 from Willard Marine. Ukraine has also restarted the production of its Gryuza River Armed Artillery Boat, which has been previously exported to Uzbekistan. The navy operates in the Black Sea basin (including Sea of Azov and Danube Delta). Distant operations of the Ukrainian Navy are limited to multinational activities, such as Operation Active Endeavour and Operation Atalanta in the Mediterranean and Horn of Africa. Ukraine's naval history can be traced to the Zaporizhian Sich Cossacks, who would frequently raid Ottoman settlements along the Black Sea coast. Cossacks utilized small ships called "chaikas" which were similar in design to Viking long ships. Although technologically inferior to the Turks the Cossacks had great success against their opponent. In 1614 the Cossack forces were able to raid, and destroy Trabzon. In 1615 the Cossacks were able to mount a raid on Istanbul itself, destroying several suburbs of the city. In 1616 a Cossack fleet was able to reach the Bosphorus, once again raiding the surrounding countryside. A Turkish fleet sent to destroy the Cossack forces was defeated in 1617. The Cossacks once again managed to mount an attack on Istanbul in 1625, forcing the Sultan to temporarily flee the capital. The Cossacks utilized several strategies to attack the larger Ottoman forces, such as positioning their ships during battle in a way that sun was always at their back. The Cossack ships were small with a low profile, making them hard to hit by cannon. Cossacks were typically armed with small arm muskets, and during battle had the goal of killing the crew and boarding the ship to take it over, rather than sinking the ship. The origins of the contemporary Ukrainian Naval Forces intertwined with the fate of the Soviet Black Sea Fleet and with the modern history of the Crimea. Following the dissolution of the Soviet Union (1991), the administration of the Soviet Armed Forces passed to the Joint Armed Forces of the Commonwealth of Independent States for a transitional period pending agreement on the division of the ex-Soviet military between members of the former Soviet Union. Marshal of Aviation Yevgeny Shaposhnikov became commander of the Joint Armed Forces command on 14 February 1992. On 6 December 1991 the Supreme Council of Ukraine adopted a resolution on the laws of Ukraine "About the Defense of Ukraine" and "About the Armed Forces of Ukraine", as well as the text of a military oath. On the same day, at the session hall of the parliament of Ukraine, the Minister of Defense of Ukraine, Kostyantyn Morozov, became the first person to take the oath. On 10 December 1991 the Supreme Council of Ukraine ratified the Belavezha Accords. 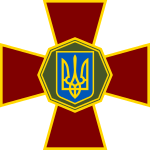 On 12 December 1991 the President of Ukraine issued ukase #4, ordering all military formations based in Ukraine to pledge allegiance until 20 January 1992. The vast majority of the Black Sea Fleet ignored the order. On 1 January 1992 the newspaper Vympyel of the Black Sea Fleet Filipp Oktyabrskiy Training unit (edited by Captain-Lieutenant Mykola Huk) published the military oath and the anthem of Ukraine in the Ukrainian language. On 3 January 1992 Ukraine started the practical formation of its national armed forces. On 8 January 1992 the officer assembly of the Black Sea Fleet appealed to all leaders of the Commonwealth of Independent States to recognise the Black Sea Fleet as an operational-strategic formation and not subordinate to Ukraine. On 12 January 1992, the brigade of border troops in Balaklava (Sevastopol) became the first military formation to pledge allegiance to Ukraine. On 14 January 1992 the Governor of Sevastopol appealed to the Supreme Councils of both Ukraine and the Russian Federation, urging faster adoption of a decision on the status of the Black Sea Fleet. On 16 January 1992, an agreement between the participants of Commonwealth of Independent States was signed on the oath in strategic formations. On 18 January 1992, the 3rd company of the divers school became the first formation of the Black Sea Fleet to pledge their allegiance to Ukraine, along with the Naval Department of the Sevastopol Institute of Instrument Engineering. On the next day, forty-six naval pilots pledged their allegiance to Ukraine at the central square (Ploshcha Lenina) of Mykolaiv. Black Sea Fleet military personnel previously under the oath of the Soviet Armed Forces did not hasten to pledge allegiance to the newly formed state. First Deputy Commander-in-Chief of the Russian Navy Fleet Admiral Ivan Kapitanets issued a directive: "to apply severe sanctions, including dismissal from office and separation from service to officers, midshipmen, warrant officers who create an unhealthy situation in military communities that are prone to treason and taking the oath of allegiance to Ukraine ". Nonetheless, on 26 January 1992 the 17th Brigade of Ships for the Guarding the Water Area of the Crimea Naval Base followed the example of the divers. Right before the Soviet Army and Navy Day on 22 February, the 880th Independent Naval Infantry Battalion of Black Sea Fleet pledged allegiance to Ukraine. The battalion had been recognized as the best formation of the fleet in 1991. The Main Navy Staff in Moscow issued an order to dissolve the battalion. After the incident, all military units of the Black Sea Fleet recruited exclusively Russians. From the beginning, relationships between the newly formed states of Russia and Ukraine were tense. In January 1992 the Supreme Soviet of Russia raised the question of the political status of Crimea (Crimean ASSR) and of the constitutionality of the 1954 decision to transfer of Crimean Oblast of the Russian SFSR to the Ukrainian SSR, accusing Nikita Khrushchev of treason against the Russian people. Although never annulled, many Russian parliamentarians refused to recognize the legal document, pointing out the procedural errors during its adoption. The Ukrainian side issued reminders of the number of international treaties and agreements between the two countries, such as the 19 November 1990 treaty between the Russian SFSR and the Ukrainian SSR, in which both sides recognized the territorial integrity of the other, as well as the Belavezha Accords (an agreement on creation of the Commonwealth of Independent States) of 8 December 1991 and the Alma-Ata Protocol of 21 December 1991. Noticing not much reaction from the Black Sea Navy command situated on the territory of Ukraine, on 5 April 1992 the President of Ukraine issued Decree #209 "About urgent measures on development of the Armed Forces of Ukraine", which accused the Russian Federation and the Joint Armed Forces command of intervening in the internal affairs of Ukraine. On 6 April 1992, a session of the 6th Congress of People's Deputies of the Russian SFSR refused to accept the Belavezha agreement as previously ratified by the Supreme Council of the Russian SFSR (on 12 December 1991). Also, on 6 April 1992, the President of Ukraine appointed Borys Kozhyn as the Commander of Ukrainian Naval Forces. The next day, the President of Russia issued a Decree "On the transfer of the Black Sea Fleet under jurisdiction of the Russian Federation". On 9 April 1992, the effect of both decrees were suspended until the end of the Russian-Ukrainian talks. Ukrainian Navy artillery boat Zhuk class U170 Skadovs'k. Bay of Sevastopol, Crimea. In September 1991, an office of the Society of Ukrainian Officers was opened in Sevastopol on the initiative of Major Volodymyr Kholodyuk and captains-lieutenant Ihor Tenyukh and Mykola Huk. The society become the initiator and nucleus of organization of the Ukrainian Naval Forces. On 7 April 1992 at 17:00 37 officers of administration and headquarters of the Crimean Naval Base pledged their allegiance and loyalty to people of Ukraine. Rear Admiral Borys Kozhyn, who was in charge of the base, was not present at that time of the event. He was in the office of Ivan Yermakov accepting a proposition of the First Deputy Chairman of the Supreme Council of Ukraine to become the commander of the future Ukrainian Naval Forces. 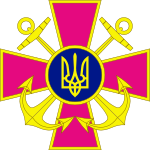 On 8 April 1992 the Minister of Defense signed a directive "About creation of the Ukrainian Naval Forces". On 13 April 1992 an organizational group was established on creation of the Ukrainian Naval Forces, which upset the command of the Black Sea Fleet. 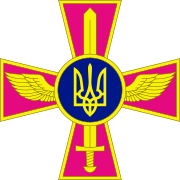 The current history of the Ukrainian Naval Forces began on 1 August 1992, when it was formally established by order of the President of Ukraine Leonid Kravchuk. This was followed by a long and controversial partition of the Soviet Black Sea Fleet between newly independent Ukraine and the Russian Federation. One of the episodes of this process was the story of SKR-112 – effectively the first Ukrainian Navy ship. On 20 July 1992, the crew of SKR-112 declared itself a Ukrainian ship and raised the Ukrainian flag. The Navy headquarters in Moscow considered this a mutiny and attempted to act accordingly. The ship left its base on the Crimean peninsula for Odessa, causing a chase and ramming attempts by ships still loyal to Moscow. Soon several other ships, auxiliary vessels, and coastal units of the Black Sea Fleet followed SKR-112's decision but with less violent outcomes. It was only in 1997 that the ships and equipment of the Black Sea Fleet were officially divided between the two countries. The new Russian formation retained its historic name "Black Sea Fleet". Under the terms of a negotiated lease agreement it was also granted rights to use the majority of its bases on the Crimea Peninsula, Ukraine on a renewable ten-year lease basis at least until 2017. The newly established Ukrainian Naval Forces received dozens of vessels (mostly obsolete or inoperative) and some shore-based infrastructure. However, the Russian Navy lost several important facilities, most notably the NITKA (Russian acronym for "Scientific testing simulator for shipborne aviation") naval aviation training facility in Saky, and the special forces base in Ochakiv. The process of fleet division remained painful since many aspects of the two navies' co-existence were under-regulated, causing recurring conflicts. The Krivak III-class frigate Hetman Sahaydachniy is the current flagship of the Ukrainian Naval Forces. Since 1997 most of the Ukrainian naval units have been scrapped or poorly maintained. By 2009, only the frigate Hetman Sahaydachniy, originally built to be a Soviet Border Guards ship, was capable of long endurance missions. Joint exercises of the Ukrainian Naval Forces and the Russian Black Sea Fleet resumed after a seven-year interval in 2010. Most of the Ukrainian naval assets, as those of the other branches of the armed forces, comprise mainly Soviet-era equipment; no major plan for modernization has yet emerged, except for a new corvette design completed in 2009. On 19 December 2008, United States Ambassador to Ukraine William B. Taylor, Jr. stated that Ukrainian Defense Minister Yuriy Yekhanurov and US Defense Secretary Robert Gates were discussing the purchase by Ukraine of one to three U.S. Navy frigates. In December 2009, the design for a new corvette (designed exclusively by Ukraine and to be built at Ukrainian shipyards) for the Ukrainian Naval Forces was completed. That month the Ukrainian defense ministry and Chernomorsky Shipyard (Mykolaiv) signed a contract upon results of the governmental tender for corvettes. The Shipbuilding Research and Design Center (Mykolaiv) was selected the project developer. The ship is supposed to operate in the Black and the Mediterranean seas; her endurance would be 30 days, displacement 2,500 tons. Leading European arms manufacturers like DCNS, MBDA, and EuroTorp were to deliver weapons for the project. Commissioning of the lead ship is scheduled in 2016. It is planned to build four corvettes before 2021. According to the corvette construction program approved by Ukrainian government in March 2011, overall amount of program financing till 2021 will be about UAH 16.22 billion. Given the bankrupt state of the Ukrainian economy, the completion of this project is uncertain. A Ukrainian ship carrying military cargo was hijacked off the coast of Somalia on 23 September 2008. The ship was released on 6 February 2009. All commercial news sources reported that the vessel was released after a ransom has been paid, Ukrainian officials, however, stated that special forces eliminated the pirates and retook the ship. In October 2013 Ukraine deployed its flagship, the frigate Hetman Sahaydachniy, as part of NATO's Operation Ocean Shield anti-piracy mission in the Gulf of Aden. The ship was deployed for a 3-month mission and operated alongside the Norwegian frigate HNoMS Fridtjof Nansen, the Royal Danish Naval support ship HDMS Esbern Snare, and the US Navy's frigate USS De Wert. The Naval Forces of Ukraine once again deployed Hetman Sahaydachniy with an anti-submarine Ka-27 helicopter aboard to the coast of Somalia as part of the European Union's Operation Atlanta on 3 January 2014. The ship was recalled on 3 March 2014 to Ukraine in response to the Crimea Crisis. Prior to the Crimea Crisis Ukraine maintained a modest naval fleet for a nation that lacked shores with any of the world's oceans. In the 2014 Crimean crisis, Russia annexed Crimea, where the majority of the bases of the Ukrainian Navy were situated. Twelve thousand of Ukraine's 15,450 Navy personnel were based in Crimea. Russia took control of at least 12 of Ukraine's 17 major warships. The base north of Odessa became the main operational Ukrainian Naval base. Ukraine also lost control of its Navy's main underground ammunition-storage site at the Inkerman valley, outside Sevastopol, as well as of its helicopter-repair facilities. The Navy's 750-strong 1st Naval Infantry Battalion at Feodosia was overrun by pro-Russian forces, its personnel arrested, and its equipment seized. Ukraine lost 51 ships, mostly auxiliaries, to Russia as the majority were stationed in Crimea. The fleet currently has 11, mostly small, operational ships. The main fleet force consist of one frigate commissioned in 1993 and four corvettes. Russia also returned a Polnocny-class landing ship to Ukraine restoring Ukraine's amphibious assault capabilities. The Ukrainian Naval Infantry were equally affected by the crisis as Russian forces besieged the marines within their bases. Russia eventually confiscated all military equipment of the naval infantry stationed in Crimea. This was also the fate of Ukrainian Naval Aviation as all their assets on the peninsula were confiscated as well, several planes and helicopters did manage to make their way to mainland Ukraine prior to Russia fully taking over the region. 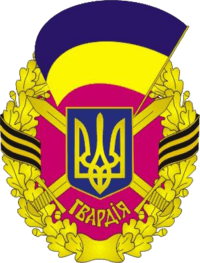 The 10th Saki Naval Aviation Brigade, controlling all the Ukrainian Navy's air units, managed to get a number of its aircraft airborne to bases in mainland Ukraine on 5 March 2014. However, more than a dozen aircraft and helicopters undergoing maintenance had to be abandoned. On 8 April 2014 an agreement was reached between Russia and Ukraine to return interned vessels to Ukraine and "for the withdrawal of an undisclosed number of Ukrainian aircraft seized in Crimea". At the time Russian Navy sources claimed the Ukrainian ships were "not operational because they are old, obsolete, and in poor condition". Russia returned 35 ships but unilaterally suspended the return of Ukrainian Navy materials from Crimea to Ukraine proper because/after Ukraine did not renew its unilaterally declared ceasefire on 1 July 2014 in the War in Donbass. 16 minor ships are hence yet to return to Ukraine proper. The remaining Ukrainian naval forces continued to patrol the nation's border after being forced out of Crimea. The majority of the forces regrouped in Odessa with the coast guard having relocated its relatively small forces to Mariupol on the Azov Sea as well. The frigate Hetman Sahaydachniy, recalled from a deployment along the Somalian coast was forced to deploy from its port in Odessa and intercept Russian naval vessels crossing into Ukraine's waters on 14 March 2014. When Crimea was subsumed into Russia, a number of Ukrainian Navy servicemen left the service for Russia. Among those were members of the upper echelon of command of the Ukrainian Navy. The Ukrainian Navy compiled and released a list of the officers who left the Ukrainian Navy for Russia. Following the annexation of Crimea pro-Russian separatists emerged in Donetsk and Luhask oblasts demanding independence from the rest of Ukraine. Some coast guard forces that were stationed in Crimea relocated to Mariupol where they resumed patrolling the national border. Separatists have been active in the Sea of Azov, which caused incidents with the coast guard. Special Purpose units of the navy are reported to have taken part to combat the separatists. On 18 August 2014 Alex Zinchenko of the 73rd Naval Center of Special Operations was the first member of the Ukrainian Navy killed during the War in Donbass while conducting an operation near Donetsk. On 2 March, during the 2014 Crimean crisis the newly appointed Berezovsky defected to the breakaway Crimean government; the central Ukrainian government put him under investigation for treason and appointed Hayduk, formerly in charge of Ukrainian Naval Forces logistic support. The navy has been highly affected by Crimea's inclusion into Russian Federation as the majority of Ukraine's ships were stationed in Crimea. Ukraine had developed plans to rebuild their naval capability even before the crisis by planning to build 4-10 new corvettes at the Mykolaiv Shipyard. This was the Soviet Union's largest shipyard and the building place of Russia and China's only operational aircraft carriers. After the referendum in Crimea, Ukraine refused to import arms from Russia for its newly developing ships, thus it is unclear whether weapons for project 58250 as Ukraine dubbed it, will be built internally in Ukraine or imported from another country. Ukraine placed an order for five US-made patrol boats in October 2013, prior to the Ukrainian crisis. In February it was announced that Willard Marine won the contract to supply four boats of the 11-meter (36 ft) and 7-meter (23 ft) class with an option for a fifth. It was revealed these are the same models sold to the armed forces of Lebanon and Iraq. On 18 September 2014 it was announced that the United States and Ukraine plan further purchases of patrol boats. Left to right, U402 Konstantyn Olshansky, U401 Kirovohrad, U154 Kahovka, U209 Ternopil, U153 Pryluky. According to former Navy Commander Vice Admiral Yuriy Ilyin, at the beginning of 2013, the fleet had 11 warships fully ready to perform complex tasks and ten aircraft and 31 auxiliary vessels fit for service. As of 24 March 2014, most of the Ukrainian ships in Sevastopol were taken by the Russian Black Sea Fleet, including several aircraft and other equipment. On 8 April 2014 an agreement was reached between Russia and Ukraine to return Ukrainian Navy materials to Ukraine proper. A part of the Ukrainian Navy was then returned to Ukraine but Russia suspended this agreement because/after Ukraine did not renew its unilaterally declared ceasefire on 1 July 2014 in the War in Donbass. The Ukrainian Marine Corps (Ukrainian: Морська піхота literally means "Naval Infantry") is a part of coastal guard of the Ukrainian Navy. 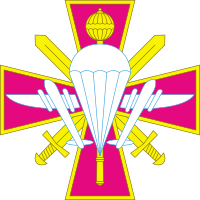 It is used as a component part of amphibious, airborne and amphibious-airborne operations, alone or in conjunction with formations and units of the Army in order to capture parts of the seashore, islands, ports, fleet bases, coast airfields and other coast objects of the enemy. It can also be used to defend naval bases, vital areas of the shore, separate islands and coastal facilities and provide security in hostile areas. Based in Mykolaiv it is organized into a Marine Brigade and three subordinate Marine Battalions. The headquarters and Main Naval Base of the Ukrainian Navy were located in Sevastopol in Striletska Bay within the Bay of Sevastopol. This is also the main base of the Black Sea Fleet of the Russian Navy. Since February–March 2014 Ukrainian Naval Forces are headquartered in Odessa and based in ports in mainland Ukraine. 1 2 3 4 5 6 7 "Ukraine's navy barely recovering from its near-death experience". Kyiv Post. 29 August 2015. Retrieved 14 May 2016. (subscription required (help)). ↑ "Ukrainian Navy to celebrate its holiday on first Sunday of July – decree". Interfax-Ukraine. 12 June 2015. Retrieved 14 May 2016. ↑ "President signs Decree On Celebration of Some Memorable Dates and Professional Holidays". President.gov.ua. 30 December 2011. Archived from the original on 2012-01-22. ↑ Reif, Joe (2001). The Global Road Warrior: 100 Country Handbook for the International Business Traveler (3rd ed.). Novato, California: World Trade Press. p. 781. ISBN 1-885073-86-0. ↑ Ukraine Intelligence & Security Activities and Operations Handbook. 1. Washington, D.C.: International Business Publications, USA. 2009. p. 250. ISBN 0-7397-1661-1. "Poroshenko appoints Ihor Voronchenko as new acting head of Ukrainian Navy". Interfax-Ukraine. 25 April 2016. Retrieved 14 May 2016. 1 2 3 4 5 6 7 "The Navy of the Armed Forces of Ukraine". mil.gov.ua. 1996-08-17. Archived from the original on November 12, 2013. Retrieved 2014-03-02. ↑ "Ukrainian Armed Forces 2007 White Book" (PDF). 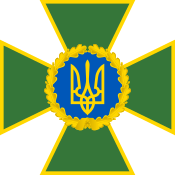 mil.gov.ua (in Ukrainian). p. 111. Archived from the original (PDF) on April 8, 2008. 1 2 "Project 58250 Corvette / Hayduk-21/Gaiduk-21 Volodymyr Velyky ["Vladimir the Great"]". globalsecurity.org. 24 July 2014. Retrieved 14 May 2016. ↑ "Willard Marine to supply patrol boats to Ukraine". bairdmaritime.com. 4 February 2014. Retrieved 14 May 2016. ↑ "Ukrainian Navy to receive two Gyurza-M boats". Azeri Defence. 9 November 2015. Retrieved 14 May 2016. ↑ "Cossack Navy 16th - 17th Centuries". Web Cite. Archived from the original on October 26, 2009. ↑ "Text of the agreement on oath in the strategic formations". Zakon.nau.ua. 1992-01-16. Archived from the original on October 30, 2014. Retrieved 2014-03-02. 1 2 "Ukrainian Navy History". globalsecurity.org. 27 March 2014. Retrieved 14 May 2016. 1 2 "Ukrainian Navy". globalsecurity.org. 26 April 2014. Retrieved 14 May 2016. ↑ "Kozhara: Hetman Sahaidachny frigate to join NATO's anti-piracy operation". Interfax-Ukraine. 17 September 2013. ↑ "The Destruction of a Squadron. A sequel". Day.kiev.ua. Archived from the original on July 17, 2012. Retrieved 2014-03-02. ↑ "Ukraine and Russia to resume joint naval exercises". ITAR-TASS. 12 March 2010. ↑ "The Washington Charter on Strategic Partnership confirms guarantees of Ukraine's security, says U.S. ambassador". Interfax-Ukraine. 22 December 2008. Archived from the original on August 15, 2009. ↑ "Yushchenko pressed for the development of a new Ukrainian corvette". Interfax-Ukraine. 12 October 2009. Archived from the original on May 21, 2011. ↑ Jones, Sam; McGreal, Chris (6 February 2009). "Somali pirates release Ukrainian arms ship". the Guardian. Retrieved 30 October 2014. ↑ "NATO - News: Ukraine contributes to NATO's Ocean Shield, 10-Oct.-2013". NATO. 10 October 2013. Retrieved 30 October 2014. ↑ "Archived copy". Archived from the original on August 19, 2014. Retrieved August 18, 2014. ↑ Ripley, Tim (25 March 2014). "Ukrainian navy decimated by Russian move into Crimea". Jane's Defence Weekly. Archived from the original on 2014-03-25. ↑ "Archived copy". Archived from the original on April 2, 2015. Retrieved September 20, 2014. ↑ Ripley, Tim (2 April 2014). "Ukrainian Navy decimated by Russian move into Crimea". Jane's Defence Weekly. p. 17. 1 2 3 "Russia begins returning Ukraine naval vessels and aircraft". Jane's Defence Weekly. 12 April 2014. Archived from the original on April 18, 2014. 1 2 Seleznev, Denis (6 August 2014). "Флот Украины 2014 - на что сейчас способны остатки украинского флота". Korrespondent.net (in Russian). Retrieved 30 October 2014. 1 2 "Мексика вернёт Украине судно, захваченное Россией во время аннексии Крыма". news.ru.ua (in Russian). 18 February 2016. Retrieved 14 May 2016. ↑ "Frigate Hetman Sahaydachniy forces Russian ships to leave Ukrainian waters". Charter'97. 20 March 2014. Retrieved 30 October 2014. ↑ "Pro-Russian separatists demand independence from Ukraine". New York Post. Associated Press. 7 April 2014. Retrieved 30 October 2014. ↑ "UKRAINE: Ukrainian coast guards ready to resume regular patrols along the sea border with Russia, after leaving the Crimean port of Kerch and relocating to Mariupol". ITN Source. 26 March 2014. Retrieved 30 October 2014. ↑ "Неизвестные военные атаковали побережье Азовского моря". Деловой портал «Капитал». Бизнес начинается с Капитала (in Russian). 5 July 2014. Retrieved 30 October 2014. ↑ "Під Донецьком героїчно загинув командир очаківських морських піхотинців". ТСН.ua (in Ukrainian). Retrieved 30 October 2014. ↑ "УКАЗ ПРЕЗИДЕНТА УКРАЇНИ № 84/2014". president.gov.ua (in Ukrainian). Archived from the original on 19 February 2014. Retrieved 14 May 2016. ↑ "Контр-Адмірала Дениса Березовського Призначено Командувачем Військово-Морських Сил Збройних Сил України". mil.gov.ua. 2006-04-05. Archived from the original on March 5, 2014. Retrieved 2014-03-02. ↑ "Rear Admiral D.V.Berezovsky was dismissed from duty as commander of the Naval Forces of Ukraine". 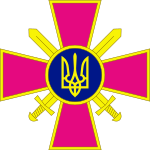 Ministry of Defense of Ukraine. 2 March 2014. Archived from the original on March 6, 2014. ↑ "Poroshenko appointed the Naval Commander (Порошенко призначив командувача ВМС)". Ukrayinska Pravda. 3 July 2016. Archived from the original on 3 July 2016. ↑ "73rd Naval Center of Special Operations of the Navy of Ukraine celebrates its 60th anniversary". Ministry of Defense of Ukraine. ↑ "And what will happen to the Project 58250 corvette, or Ourselves s vusami". Archived from the original on October 30, 2014. Retrieved 30 October 2014. ↑ "Willard Marine Wins Order To Supply Patrol Boats To International Navies". Homeland Security Today. 10 October 2013. Retrieved 14 May 2016. ↑ "Commander:Ukrainian Navy to have 11 ships, 10 aircraft, 31 vessels by end of 2012". Kyiv Post. 30 November 2012. Retrieved 14 May 2016. ↑ "Pro-Russian crowds seize 3 Ukrainian warships - Europe news". Mail.com. 2014-03-20. Retrieved 2014-04-23. ↑ "Over 70 military units in Crimea hoist Russian flags". TASS. 20 March 2014. Retrieved 14 May 2016. 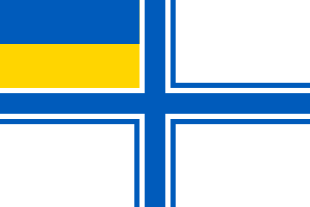 Wikimedia Commons has media related to Navy of Ukraine. Jane's Navy International, Interview: Admiral Viktor Maksymov, C.-in-C., Ukraine Navy, JNI December 2010, 34. Interview of Borys Kozhyn. Magazine "Hetman". #1 (24) 2009.